Despite its great reputation for a fantastic beach experience and a top tourist attraction for those visiting Hue, Lang Co remains surprisingly peaceful and unspoiled. 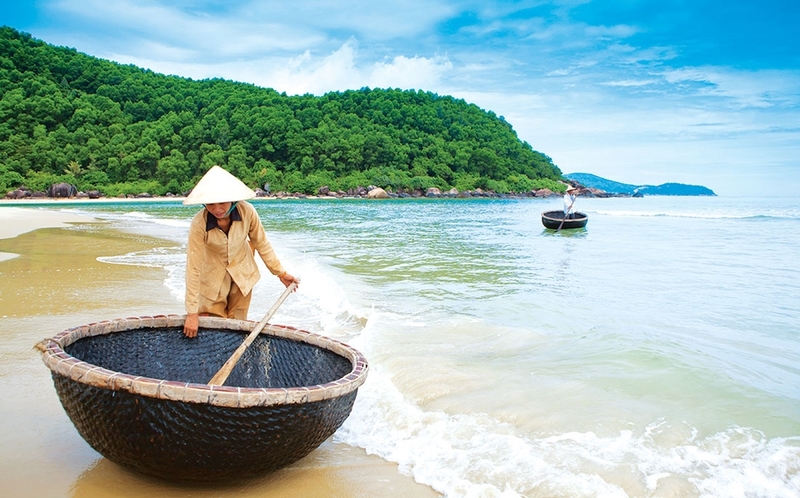 Lang Co is a bay located roughly 12km away from the north of Hue city and is recognized as one of the most beautiful bays in the world as voted by Worldbays. Lang Co beach has 10 kilometers length, belongs to Lang Co commune, Phu Loc district, Thua Thien Hue. Many people suppose Lang Co beach as a paradise on earth. Why Lang Co Beach is special? Lang Co situated between 3 cultural heritage centres: Hue ancient capital, Hoi An old quarter and My Son Sanctuary with the radius about 70 kilometers. Lang Co attracts tourists and researchers from the cultural heritage centre. 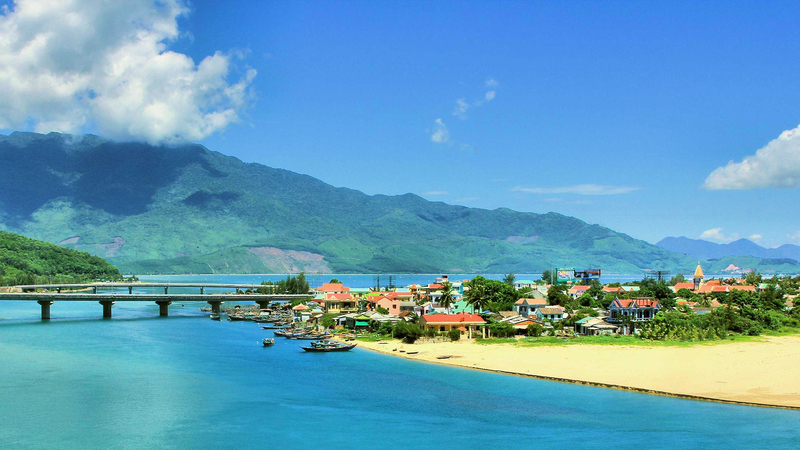 Lang Co is on the North-South tourist route and far 30 kilometers from Da Nang city and far 70 kilometers from Hue city. Lang Co beach is located on the foot of Hai Van Mountain. This area includes sand-bank near the coast with 1.5 meters height- 10.5 meters height. Next is the dune with the height of 5 meters to 23 meters lasting 8-9 kilometers. Natural slope is mainly 0.005%-0.05%. On the foot of Phu Gia Mountain, western Lap An lagoon, there has the dune with the slope of 20-30%. Besides, the west and south-west, it has Lap An lagoon and small valleys. Lang Co is also known as “An Cu” by the French. Someone said that Lang Co had many storks before so that it is also know with the name “Stork village”, after that local people usually call “Lang Co”. Lang Co beach is the famous natural landscape of Thua Thien Hue province. Many years ago, this beach has famous for nature and the most beautiful landscape in Vietnam with white sand-bank along with tropical forest on the mountains. What to explore at Lang Co Beach? Located near the Lang Co is Hai Van Mountain- Hai Van Quan- one of the most famous landscapes in Vietnam. Along the foot of Hai Van Mountain, Lang Co beach has coral, lobster and many valuable fishes. 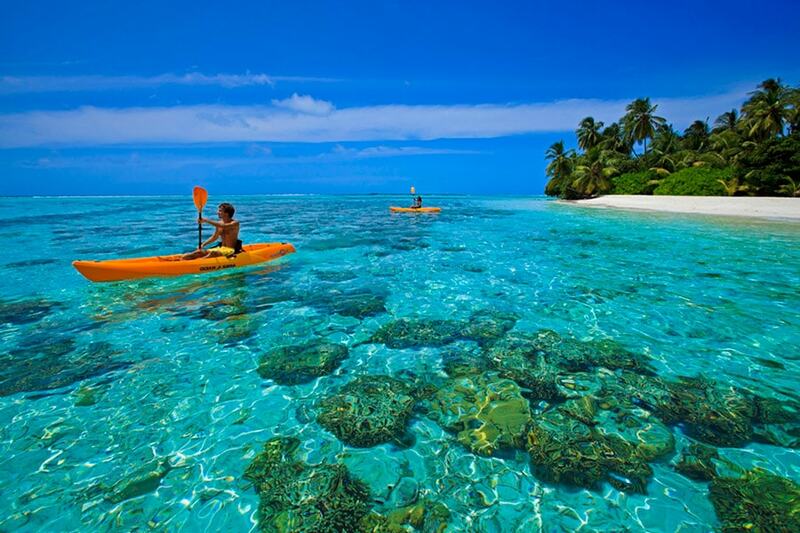 In this area, there has Son Tra islet, which preserves many flora and wild fauna. Behind the beach are the Lap An Lagoon and a range of Bach Ma mountain. All the elements bring for Lang Co beach the potentiality about promoting many kinds of tourism model: vacation, diving, researching about wild fauna. On the nice day, from Lang Co, tourists can contemplate the scenery of Bach Ma national garden. Along the National Highway No.01 from Hue to Da Nang, far about 60 kilometers from Hue, between Chan May Tay and Chan May Dong, there also has a beach and an ideal place: Canh Duong. Lang Co gathers various tourism resources such as: coast, sand-bank, lake, lagoon, spring, mountain, Hai Van pass, Bach Ma old-grow forest and historical relic… will create the diversify tourism products. Lang Co is blessed the beautiful scenery between the mighty mountain and beach, it is recognized as the beautiful bay in the world. On June 6th 2009, Thua Thien Hue province received the title “Lang Co – beautiful bay of the world”. With an area of 14.000m2, this place has a combination between the pristine mountain and immense space. Lang Co beach resort was built base on oriental architecture with garden house style, pagoda and temple. The resort is opposing to beach and is the heaven paradise place. The impression about Lang Co is not only poetic view but also specialties of lagoon area such as: shrimp, cuttle-fish, crab. Arca in Lang Co becomes the famous dish, tourists come to Lang Co cannot help trying this delicious dish. How to get to Lang Co Beach? The quickest and easiest way to get to Lang Co is via a taxi from the Da Nang International Airport. Most taxis are metered and will cost approximately 450,000 VND inclusive of tolls and airport exit fees. Or private car service from Da Nang. The taxi driver will always go through the tunnel, if left to his own devices, but for a more interesting ride which should only cost a further 150,000 VND, ask the driver to take the Hai Van Pass. The Hai Van Pass route will take about 50 minutes from the airport to Lang Co, while the tunnel route will take approximately 35 minutes. There are no buses from the Da Nang international airport. To take a bus would require taking a taxi from the airport to the bus terminal for approximately 50,000 VND and then taking the bus from the terminal to Lang Co at a cost of 15,000 VND. These buses generally wait until they are full and the temperature inside can get very hot.